Kwara State University, KWASU First Batch Admission List of Successful Candidates for 2018/2019 Academic Session Out. This is to inform all the candidates that participated in the Kwara State University, KWASU 2018/2019 academic session post UTME/Admission screening exercise, that the management of the institution has released the first batch admission list. 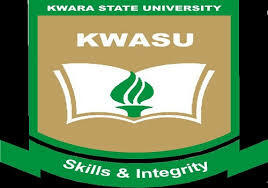 KWASU 1st admission list contains the names of candidates offered provisional admission into KWASU various undergraduate programmes for the 2018/2019 academic session. ►Visit http://app.kwasu.edu.ng/portal, click “PRE-ADMISSION SCREENING CANDIDATES” menu. ►Enter your details in the spaces provided and click “Continue” button to login to your dashboard. ► Now click on “Check admission status” link located under the Menu Tab at the left hand side of the page and your admission status will be displayed. Congratulations to all the newly admitted candidates.